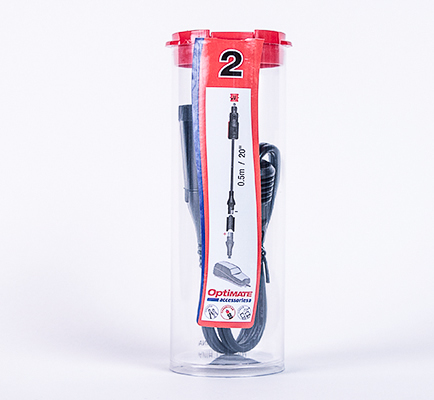 Optimate 4 and 12V Motorcycle & Car socket connector bundle. In the early 1990’s the automobile industry needed a manner of reducing the number of wires and complexity of the wiring looms, particularly in the luxury cars that had so many accessories installed. The early CAN systems addressed these issues with limited success due to reliability issues. As the technology improved the systems finally became quite reliable. Beginning this year, all automobiles sold in the USA will require a CAN system for engine management that can be diagnosed by dealership and aftermarket diagnostic equipment. 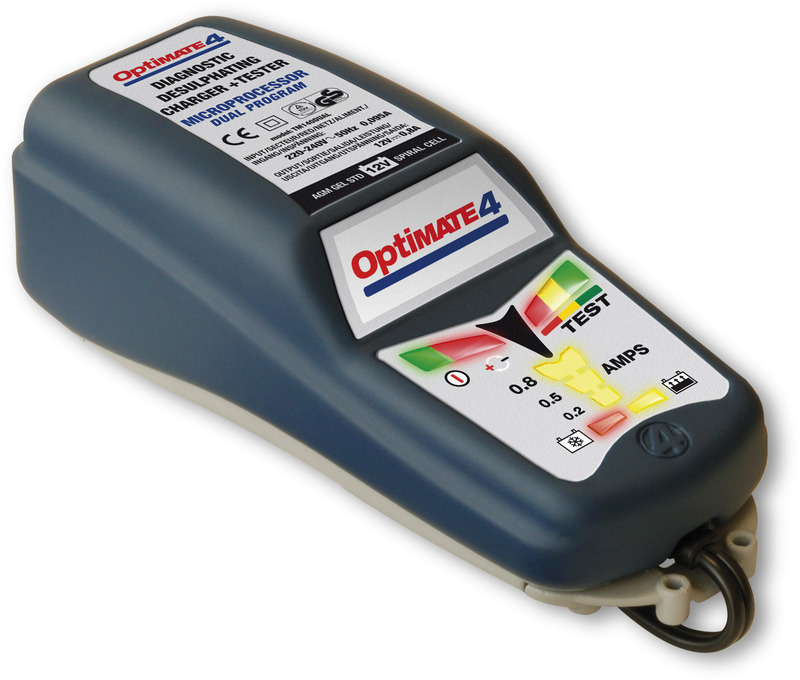 SKU: TM-340+O02 Category: Battery Chargers Brands: Optimate. What has CAN-bus on my BMW motorcycle got to do with battery charging? 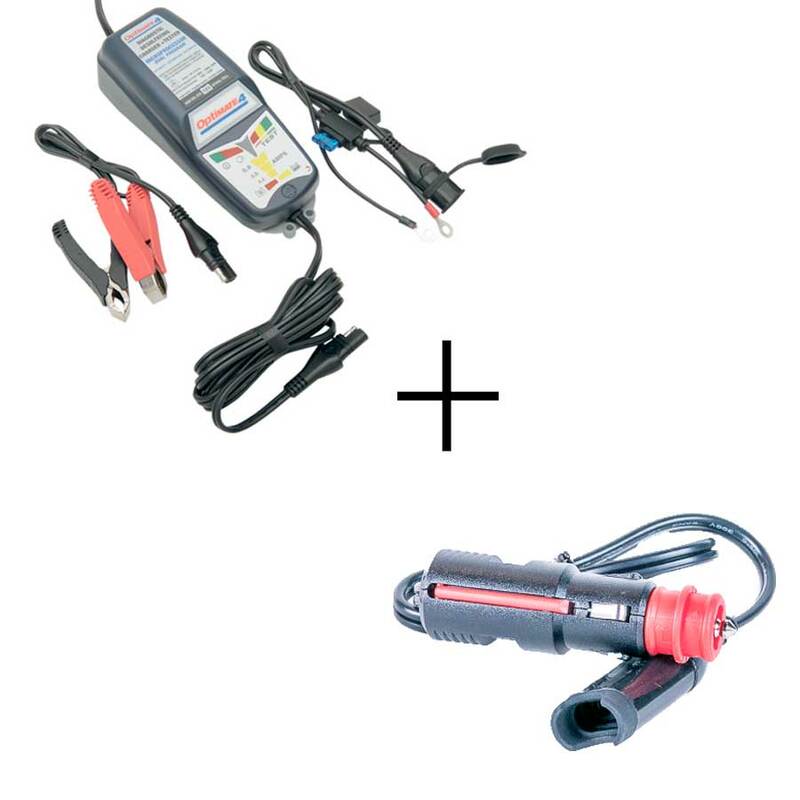 A BMW R1200GS 2004 or any BMW from 2005 is fitted with CAN-bus electrical system. 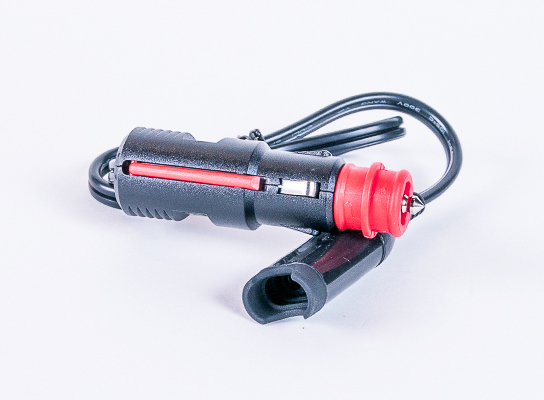 CAN-bus is two-wire system connecting every electrical device on the motorcycle to the central MCU (ZFE microprocessor), including the 12V accessory power socket. 1. Motorcycle ignition is on or soon after it has been turned off. (delayed ‘off’, socket only). If a CAN-bus friendly charger communicates successfully with the ZFE MCU. 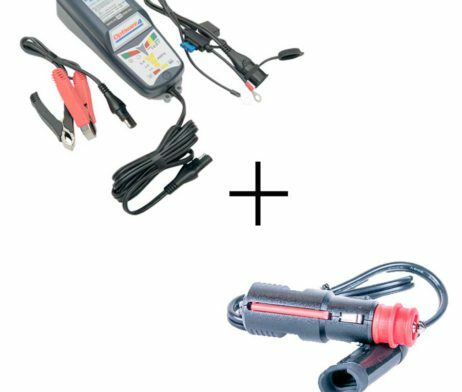 This allows charge and maintenance of the battery through the 12V socket and without having to directly access the battery. 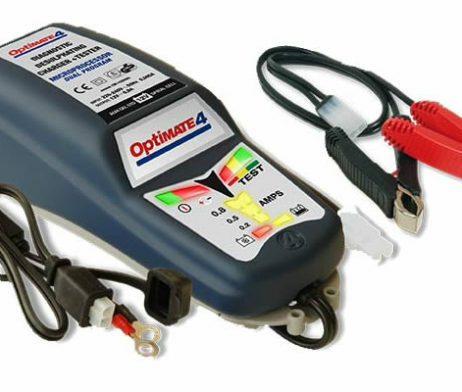 Why OptiMate, why not my BMW charger? 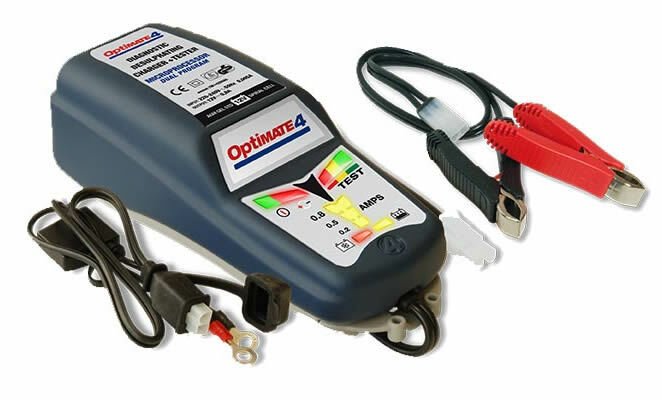 OptiMate 4 DUAL PROGRAM has solved the communication problems with newer BMW motorcycle models and will automatically charge and maintain the battery. On some BMW motorcycle models the BMW branded chargers requires the ignition key to be turned on to initialize charging. Problem is, once the battery is charged, the socket switches off. 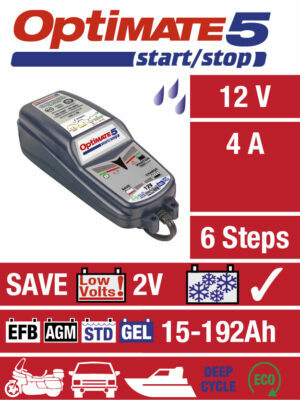 Now it is up to you to switch on the ignition to recharge your battery (recommended every two weeks). If you forget ……. Why does the central MCU not protect my battery? The MCU draws power from the motorcycle battery for the alarm, memory and clock. It turns off when the battery is low, but by then the battery may be too flat to crank the engine. 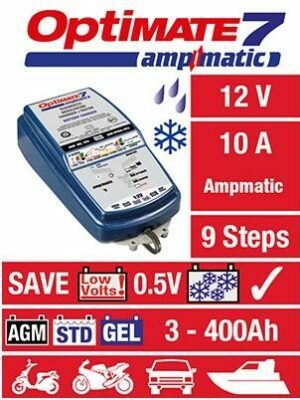 If you leave a lead-acid battery discharged for too long, it will become sulphated and unable to accept any charge through the 12V socket or even directly. How do I save my battery? OptiMate 4 Dual Program can save a low voltage sulphated battery: Remove the battery from the vehicle to SAVE (desulphate) it. 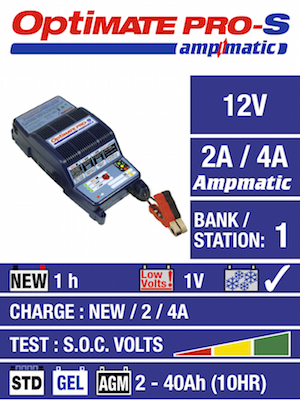 Select program 1 for the high voltage desulphation mode (not active during program 2 CAN-bus mode) and save the battery. After SAVING, re-fit to the vehicle. 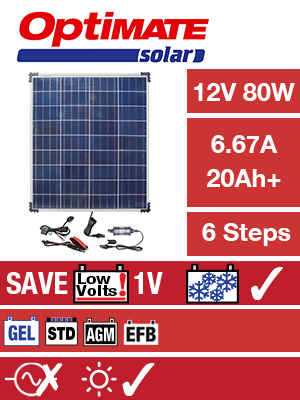 Do not forget to once again select CAN-bus mode as the DIRECT charge mode does not work through the CAN-bus controlled 12V socket. FYI: The BMW branded chargers have no SAVE (desulphation) mode which is absolutely necessary to save an AGM / GEL battery from a low voltage, sulphated state.